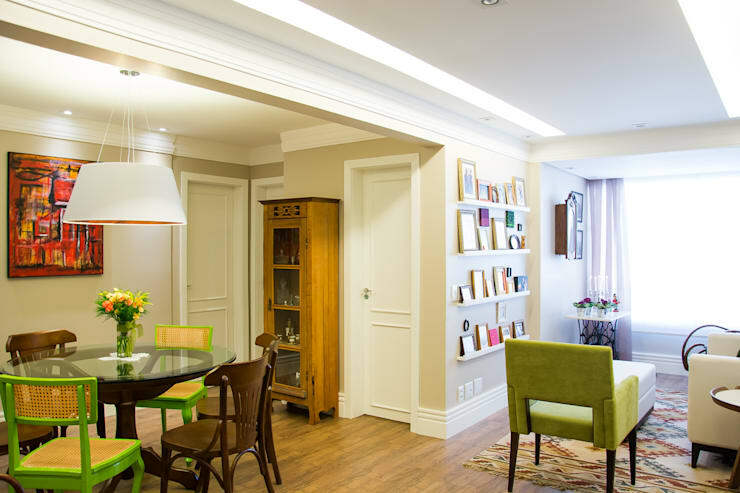 A well-designed and professionally constructed ceiling can give any space character, it can have a significant impact on the atmosphere of your room. In addition, your ceiling design can adhere to the interior architecture of your space giving it a more complete and cohesive look. This is especially noticeable when you opt for special ceiling features like trusses or roof beams. However, when it comes to design some subtle effects can do wonders to elevating the style of your home. It's not just a matter of color, but also of lighting. Of course, all these possibilities will be based on your own personal preferences since the space should first and foremost reflect your unique taste. When it comes to designing your ceiling, it's important to let your imagination run wild while considering the type of space you're going to use it for. For starters, a ceiling in the bathroom needs to meet different requirements than a bedroom or kitchen ceiling. However, similar to flooring, you can create amazing contrasts that can bring variety to a room. Be inspired and don't shy away from unique styles. Sometimes, it's exactly these oddball designs that bring an irresistible charm to your home. A really elaborate ceiling design can either look flashy or artistic. This depends not only on personal taste but also on the room design and interiors. Whether your ceiling draws attention through unusual lighting methods or bold playful color combinations is all up to you. 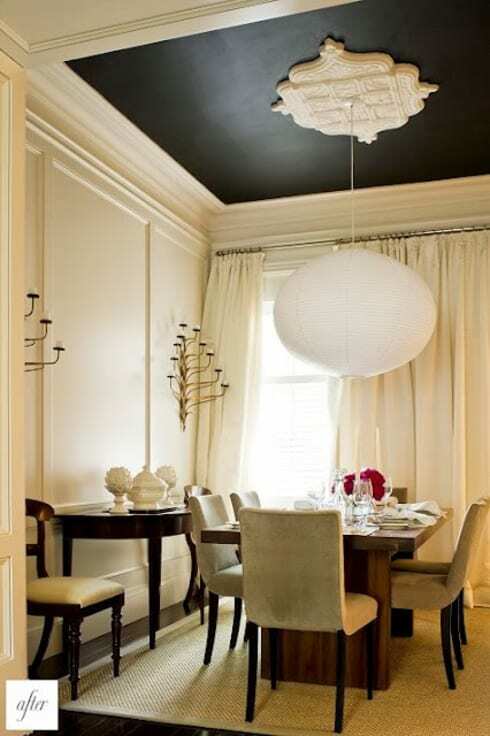 In this example, you can see that the black ceiling sets a clear contrast that accentuates the lighting fixture and ties up the look of the entire room. It's that added personality that makes this space truly unique. 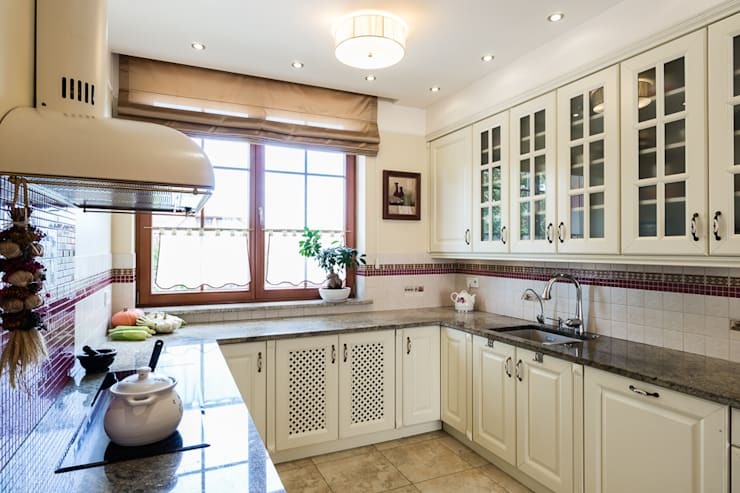 When it comes to kitchen ceiling design, it's all a matter of space, which should be as bright and as wide as possible. A central room light can severely limit your work area so in order to maximize the space you can add a couple luminaires to make the most of the lighting in your kitchen. 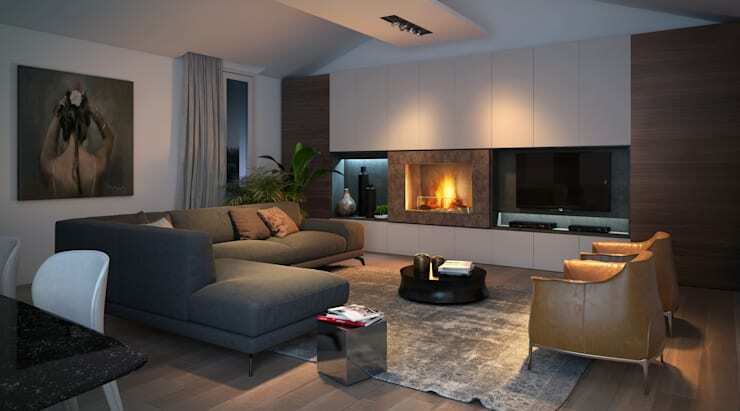 A well planned design can have a significant impact here as it can disperse the light throughout the entire room. Sometimes a ceiling structure is already defined by the home's architecture. 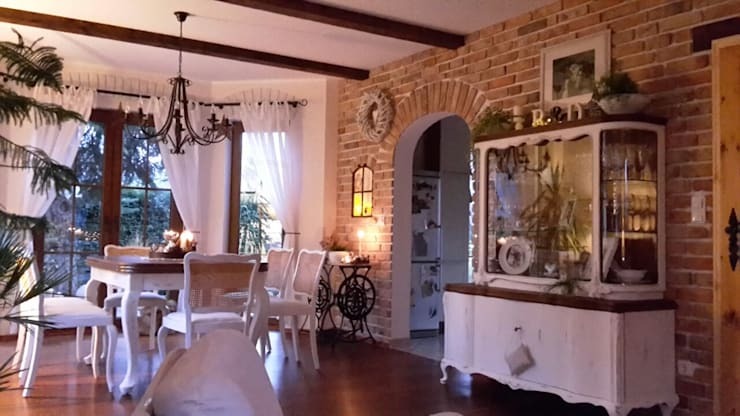 This isn't necessarily a bad thing, especially if a more rustic appearance suits your taste. In the best case scenario, you will get bare beams that go well with the surrounding areas of the space. However, if you desire this look and your existing space doesn't have it, take heart in knowing that it's actually quite easy to achieve this effect with very little effort. Unusual ceiling designs can be achieved in a number of ways, not just through color. For example, various features can allow for a subtle way to divide the space. These optical effects can easily be achieved with the use of wood or polystyrene. You simply need to place these components in your desired places and screw or fix them in. After the parts have been fastened you can add color depending on your ceiling ideas. When selecting the materials, however, you should pay attention to which component you want to emphasize in your design. Depending on the style of the architecture and the furnishings, you can also implement subtle lighting by means of a clever ceiling design. To accomplish this for your living room, you need to have a hanging ceiling. The effort required in pulling off this design is manageable but can have some impressive results. With a suspended ceiling not only can you get a very unique ceiling design, but also space where you can install some lighting systems which subtly illuminates your room giving off that cozy atmosphere. With a ceiling cover you can get a similar effect as with a suspended ceiling. 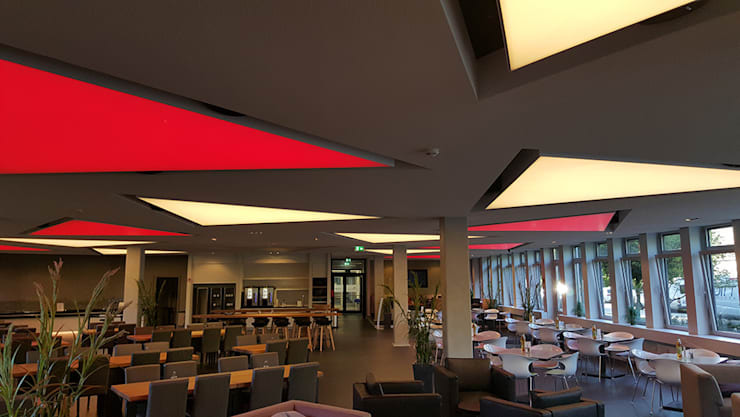 However, with this type of ceiling design, you can have more variety and more possibilities, especially when it comes to lighting as demonstrated in this example. With different materials in different colors, the ceiling is suspended and illuminated from the inside creating a beautiful backlit mosaic effect. 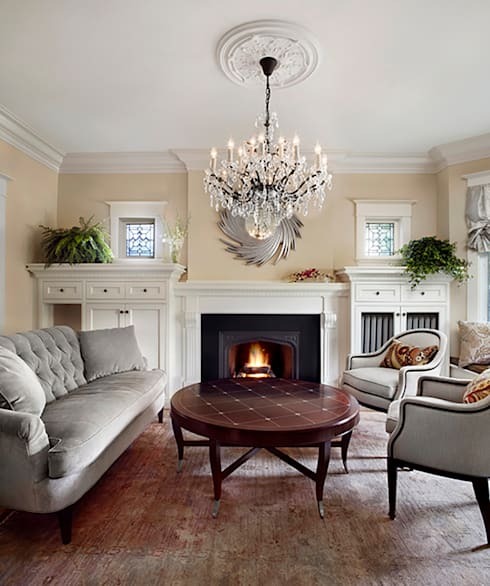 For a more classically inspired room, sophisticated ornaments can add a lot of character to your room. You can do this by utilizing different color palettes and some ornate features. Ornaments can be mounted in the center of the room as an accent piece or as transitions to the walls. You can also use both concepts at the simultaneously. For a more personalized feel you can also add color to your ornaments. The bedroom is often the most romantic room in the house. To reinforce this, you can set up some romantic lighting to create a harmonious atmosphere. In addition to subdued night lamps, a ceiling design with indirect lighting is also ideal for achieving this effect. For this, you only have to create a small space in between the ceiling and the fixture where you can install the lights. Switch the lamps off and turn the indirect lights on for the maximum romantic effect. Bathrooms should make you feel comfortable. In fact, it should be one of the most comfortable rooms in the house to provide an inviting escape from your daily stresses. Consider utilizing a room with an maritime ceiling design. Add some maritime elements on the walls and floors to complement your ceiling design and give it that Caribbean flair. 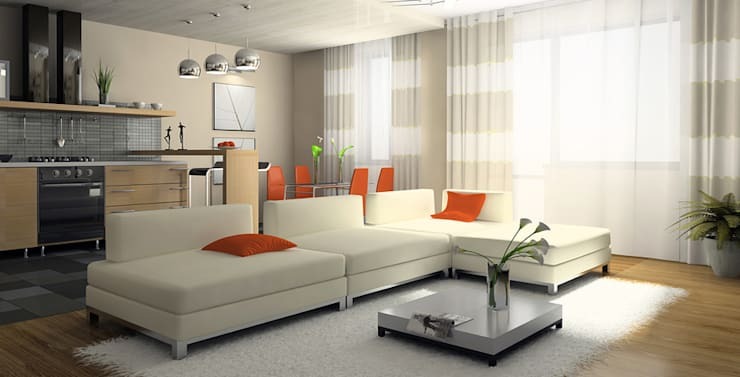 In such a style you should also make sure that your furniture coincides with the design. 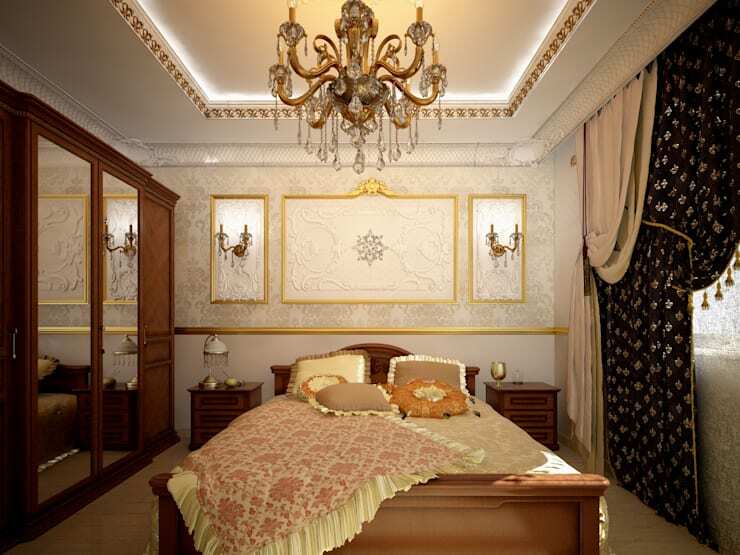 If you prefer a more regal and elegant style, a conservative ceiling design might be lackluster, however, if you add a few handgrips you can create a platform on the ceiling which you can decorate the way you want. Through this extra element on your ceiling you can draw people's attention to the accent pieces you choose to decorate it with. Depending on your mounting, you can fix a room lamp to it.